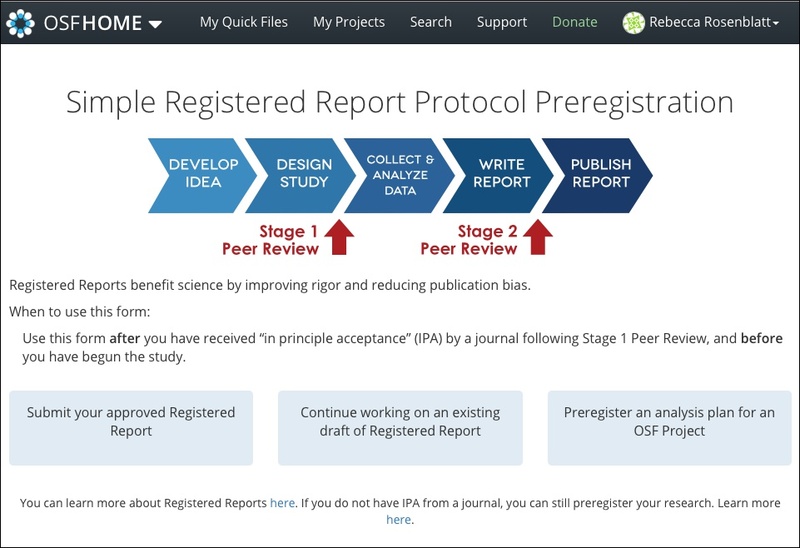 In order to be eligible for this form, you need to first have received "in principle acceptance" (IPA) from a journal after Stage 1 Peer Review, and before you have begun your study. Learn more about registered reports here. 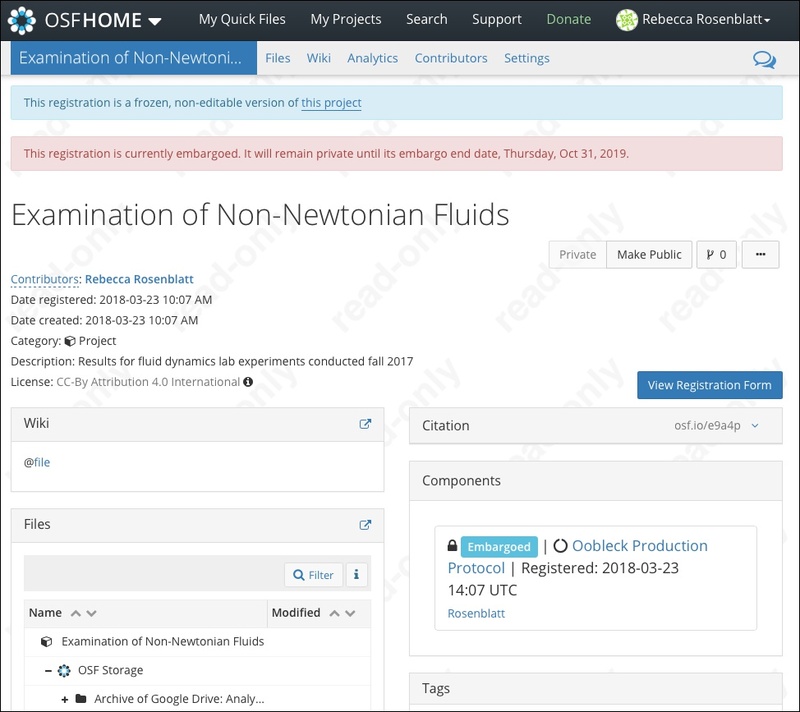 First, sign in to OSF, then go to the "Registered Report" landing page. To submit your accepted Stage 1 registered report, click the Submit your approved Registered Report button. 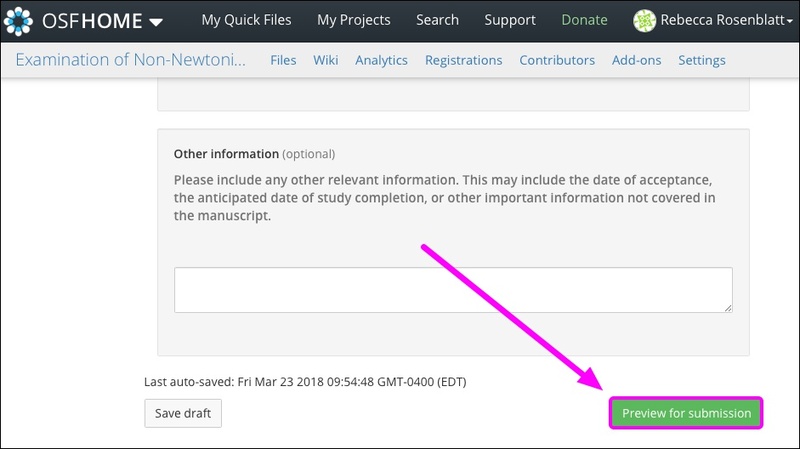 Enter the title of your registered report into the field that appears, then click the Create button. A "Registered Report Protocol Preregistration" form will appear. 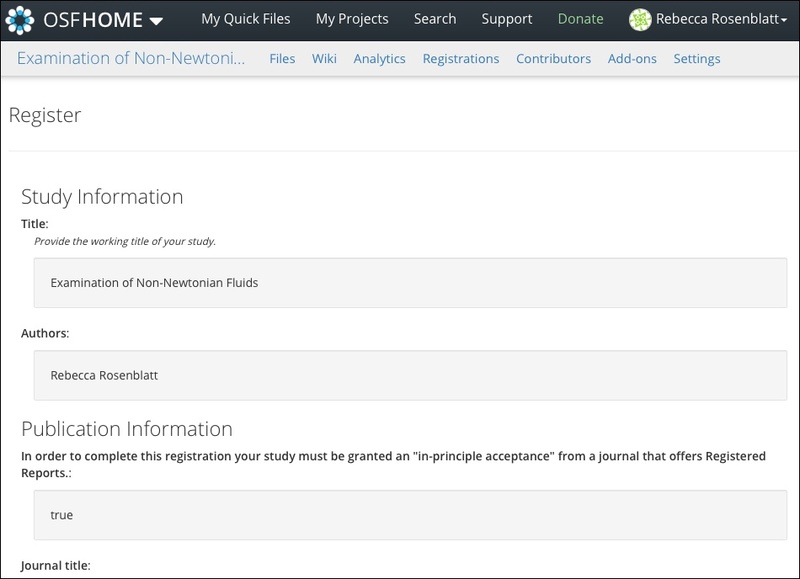 Fill out all required fields with your study information, publication information, and manuscript. 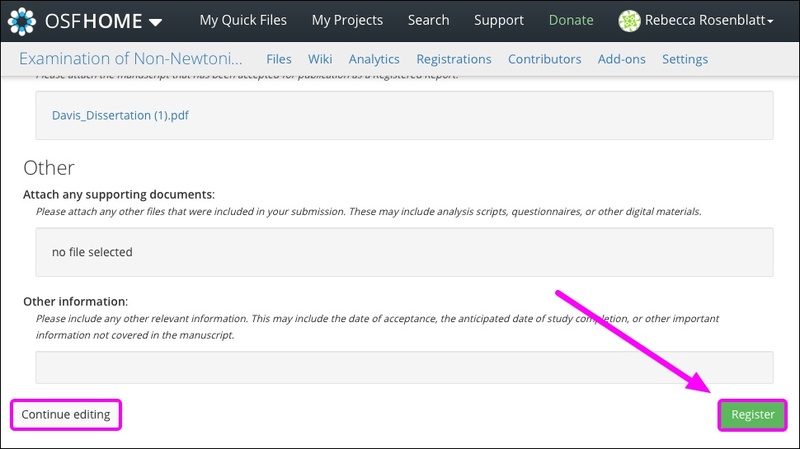 Once you've completed the form, click the Preview for submission button on the final page. Make sure that all of the information you provided is correct. Upon submitting the form, you won't be able to make changes to it. Click the Continue editing button if you need to make changes. When you're ready to register, click the Register button. Before you submit your registered report, a final modal will appear that allows you to choose your privacy settings. Click inside the "Registration Choice" menu. Then choose to either make your registered report public immediately or to embargo it for up to 4 years. 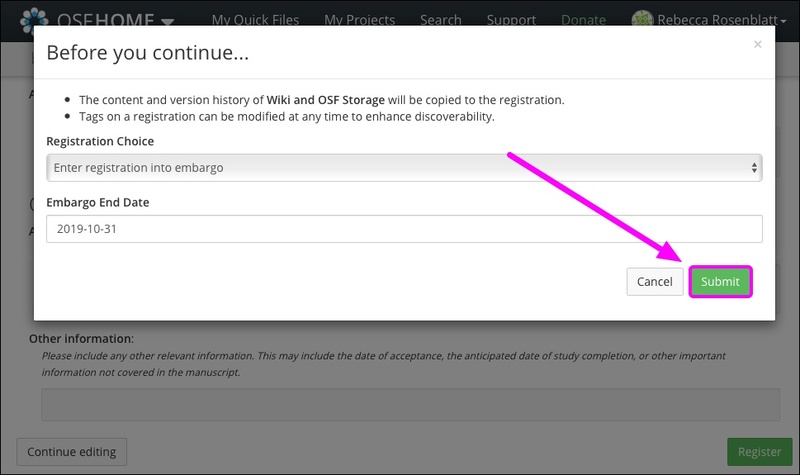 If you choose to enter into an embargo, the "Embargo End Date" box will appear below the "Registration Choice" menu. 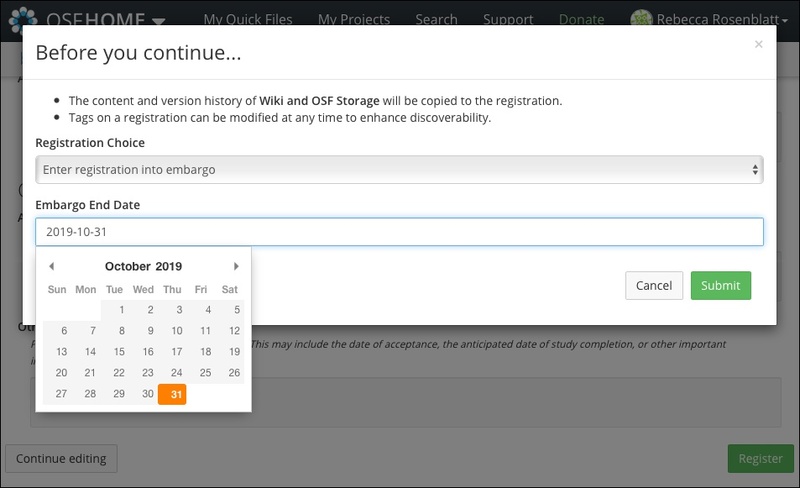 Click inside the "Embargo End Date" box, and a calendar will appear from which you can select the date on which you want the embargo to end. 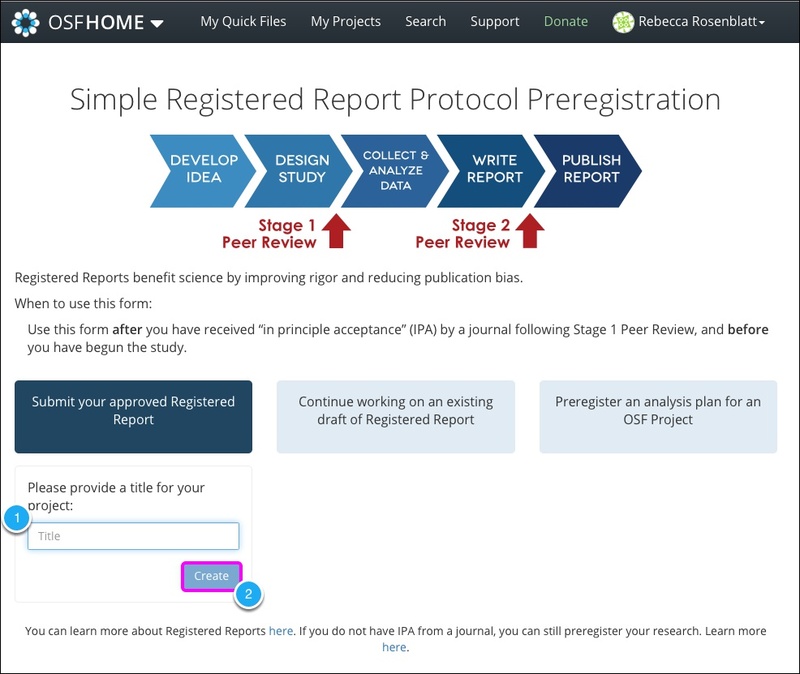 When you submit an approved registered report, an OSF project will be created to connect to it. 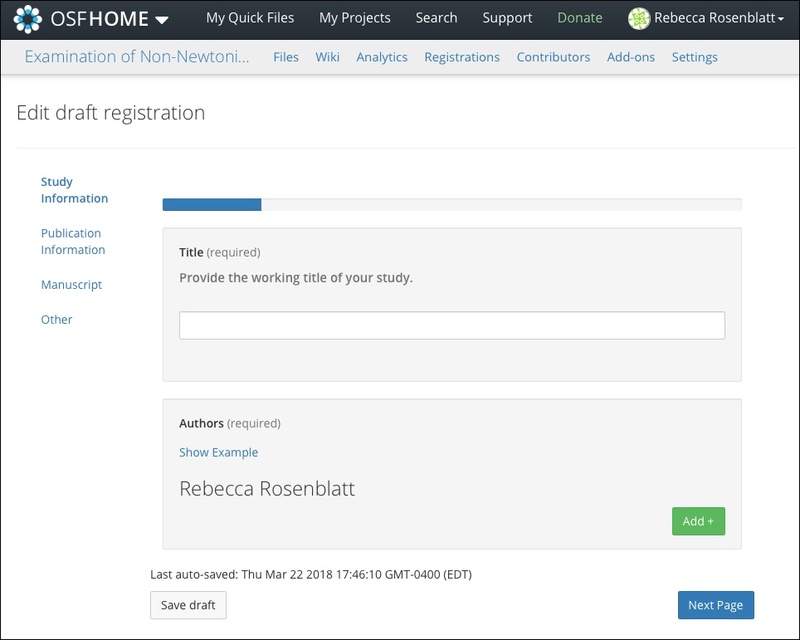 This project gives you and your contributors a place to conduct and store your study materials. All administrators on the registered report are notified via email and given the opportunity to approve or cancel the registered report by clicking the corresponding link in the email. If one administrator disapproves the registered report, the registered report will be cancelled. You will be notified via email if an administrator disapproves the registration.